After a successful World Workshop, the European Federation of Periodontology (EFP) and the American Academy of Periodontology (AAP) have established an international language to ensure a globally consistent approach to the clinical care, research and education of periodontal disease. Four stages (I-IV) will be used to define the disease severity at presentation and the complexity of disease management. Three grades (A,B and C) will be used to provide supplemental information about the biological features of the disease such the risks of further progression, anticipated treatment response and effects on systemic health. The new system has been designed to enable providers to formulate a treatment strategy based on specific individual needs and is due to come into effect in October 2018. You can read more here. The 31st British Orthodontic Conference is taking place from the 27th to 29th September at the QEII Conference Centre in London this year. The theme is 'Orthodontics 360o' and the emphasis is on interdisciplinary care and the dental world as a whole. Presentations will be dedicated to ortho-restorative treatment, orthognathic treatment, the ortho-periodontal interface, the role of orthodontics in the management of TMD and the challenge of orthodontics in association with trauma. Business, skills development and leadership sessions are also planned alongside two separate full day programmes run by The Orthodontic National Group specifically for dental nurses and orthodontic therapists. On the exhibition floor, delegates have the opportunity to see the very latest Waterpik® technology, designed to make flossing easier and quicker for patients with orthodontic appliances, as well as three times more effective! Indeed, clinical research shows that adding a Waterpik® Water Flosser with an Orthodontic Tip alongside manual tooth brushing is significantly more effective at improving oral health in adolescent orthodontic patients, including those with braces, than adding string floss or brushing only. There really is something for every member of the orthodontic team. To book your place or to find out more, click here. 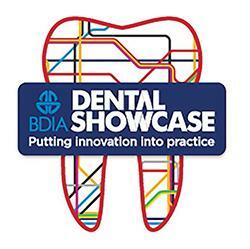 To see the very latest water flossing technology visit stand H6 at the BDIA Dental Showcase. Here you can see the Waterpik® Whitening Water Flosser, which features an advanced pressure control system with 10 settings, improved grip and a swivel hose to help patients easily remove debris and harmful bacteria that toothbrushes and traditional floss leave behind. As the name suggests, the Waterpik® Whitening Water Flosser has a specially engineered handle to allow patented Waterpik® Whitening Tablets to be infused into the water and effectively but gently help remove stains and stubborn marks for naturally whiter teeth. Come to the Waterpik® stand where you can meet the team, try out the models and take advantage of the special showcase discounts. You can also participate in an interactive theatre experience, gain verifiable CPD and book your free Lunch and Learn session with a Professional Educator. BDIA Dental Showcase is on 4-6 October 2018 at ExCel London and you can register here. Don't forget to register for the Oral Health Conference & Exhibition 2018 (OHC 2018) and get your early bird discount. This is the flagship conference for the British Society of Dental Hygiene and Therapy (BSDHT) is on 23-24 November 2018 at the Telford International Centre. Entitled ‘The future is yours’, educational sessions and workshops will focus on professional enhancement, empowerment and aspiration and you can also benefit from advice to help you future-proof your career as well as up to 12 hours of Enhanced CPD. For more information click here. Sharma NC, Lyle DM, Qaqish JG, Galustians J, Schuller R. Am J Ortho Dentofacial The Waterpik® Water Flosser is 3X as Effective as String Floss for Orthodontic Patients Orthop 2008; 133(4):565-571.